Find serenity among the mountains this spring at Montage Deer Valley. As the largest spa in Utah, Spa Montage serves as an alpine oasis with indigenous influences in its many relaxing treatments. At 35,000 sq ft, the craftsman-style Montage Spa reflects the cozy mountain surroundings with dark wood and stone accents. A focus on holistic principles and nature brings elements of the alpine environment into customized treatments, utilizing muds, clays, minerals and water therapies. Slip into a plush robe with a cup of herbal tea and a quartz stone energy bracelet to begin your tranquil experience. 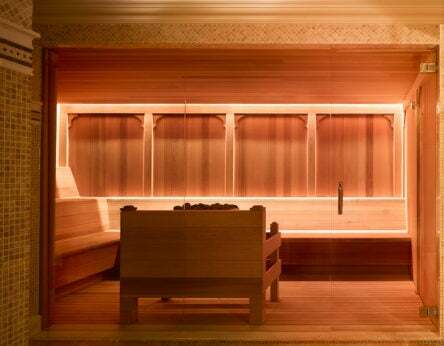 The spa comprises 29 treatment rooms to include 18 single therapy rooms, one double therapy room, two traditional Thai rooms, three facial treatment rooms, two Hydrotherapy rooms and two Vichy rooms. 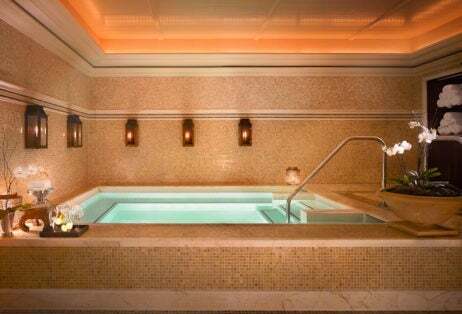 Retreat to separate men’s and women’s club-style locker rooms with elegant private relaxation areas where you’ll find fireplaces, showers, steam and sauna areas, whirlpools, cold deluge and a 25 meter lap pool. For the most luxurious experience, the Spa Montage Serenity Suite features two massage tables, two copper tubs and a stunning mountain view. A comprehensive spa menu includes the Elements of Wellness signature services, offering personalized massages, body treatments and facials. Also offered are skin care services by Jacqueline Piotaz Switzerland, advanced skin care technology, skin therapy therapeutic mineral baths, body scrubs and couples treatments. For the best of everything, the Healthy Indulger package includes a massage, reflexology and custom facial. Or, for an individual treatment, try the Mountain Therapeutic Soak using Himalayan salts to re-mineralize and soften the skin. Active guests will enjoy a fitness center outfitted with state-of-the-art cardiovascular equipment, individual media and music centers, Life Fitness strength training, Life Fitness free weight area, mosaic lap pool, whirlpool and movement studio. Then, complete your pampering experience with a visit to the full-service salon and spa boutique. When your spa day is through, be sure you’re staying in the Penthouse Residence, one of Elite Traveler’s Top 100 Suites. On the top floor of the resort, the penthouse spans a generous 5,300 sq ft to offer panoramic views of the mountainous landscape. The suite features four bedrooms, three private balconies, a gourmet kitchen, laundry facilities, marble bathrooms and gas fireplaces. Montage Deer Valley is located at 9100 Marsac Ave, PO Box 4680, Park City, UT 84060. For more information, please visit montagehotels.com.